The big show at Florida State U. is all part of this school’s “High Flying” curriculum. GO TO college and join the circus. 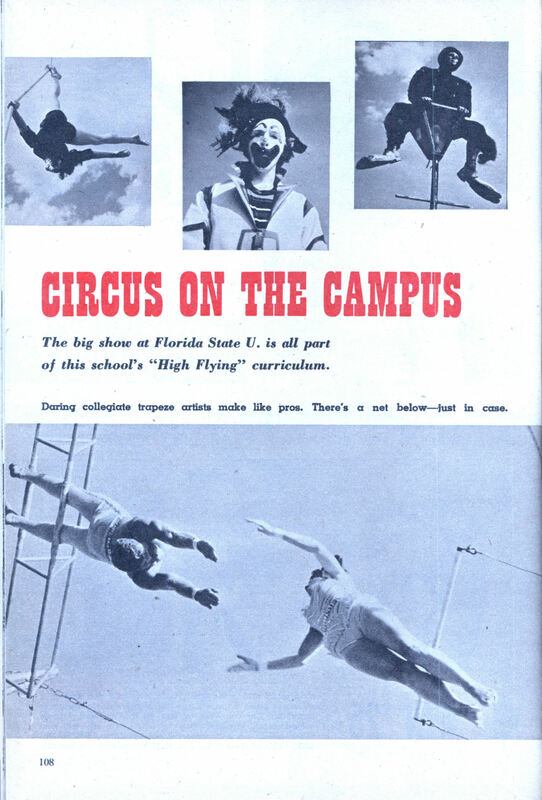 That’s what collegians at Florida State University in Tallahassee do at the only school in the land where students can learn the circus profession for credits! Aside from arts and science courses, some 200 boys and girls join the “Flying High” circus group as part of their Physical Education classes. To cap their training periods the circus graduates pack up each spring and tour the surrounding country to put on their show. 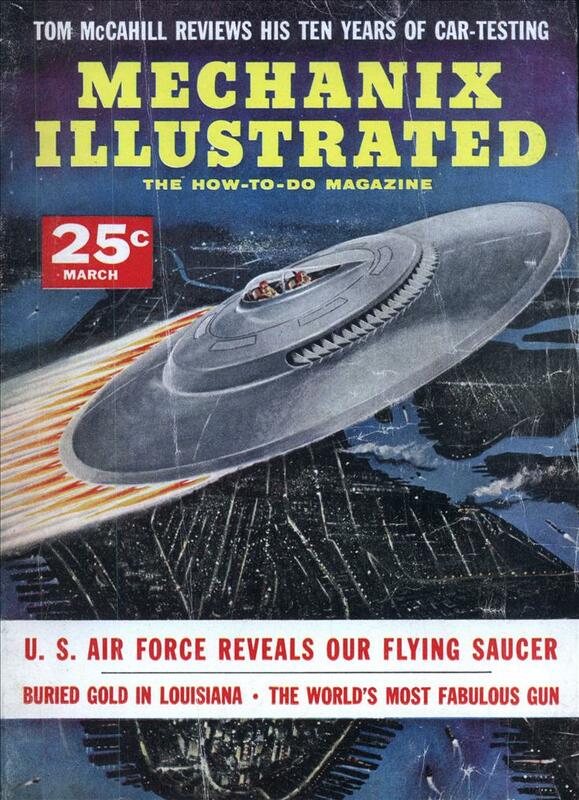 The course has been given since 1947. As yet, no student has made a permanent career under the Big Top in the professional circus world.